Bright & pretty cards today! We will start off with this beauty by Jennifer Weide using the "Sunflower" background stamp. She finished it off with another phrase from "Friendly Phrases", and the Chocolate Chip 1/2" Scallop Dots Ribbon that is part of the 30% off Ribbon Bundle that expires today! Next, we have a bright and pretty faux tile rendition by Ruth Anne Lilley. She used the "Just Believe" stamp set and the Lace Ribbon Borderpunch. She even weaved the Real Red 1/4" grosgrain ribbon through the punched strip! That's something I think about doing but don't do very often! The Basic Jewel Pearl accents are the perfect finish! While not exactly a flower, these cherries are so bright and happy, I just had to include them today! Ruth Bingle made criss-cross lines with the Simply Scoring Tool behind the Scallop Square from the Scallop Squares Duo die. She even adapted this card to be an easel card! Thanks so much for stopping by today! Until tomorrow, have a "Stampingrox!" day! Isn't this the cutest thing?! This was definitely the crowning glory of the entire swap this month, Deb McCahan's get well soup mug! She combined the "get well" stamp from "Sincere Salutations" with the "get well" stamp from "Thoughts & Prayers" (both found on page 160 of the Idea Book & Catalog), and INCLUDED THE DIRECTIONS TO MAKE IT! JOY! JOY! You will be seeing this again as part of an upcoming class in the New Year for sure! As much as I love Christmas projects, this one really gets me excited! Can't wait to make it! Until tomorrow, have a "Stampingrox!" day! Opening my package from my monthly swap is just like having Christmas once a month! This swap by Beth Weinstein featured the "faux tile" technique again, along with the "Medallion" background stamp and a gorgeous Antique Brad ! Just perfect! Kathy Stephenson did a great job with the Simply Scoring Tool to make the diagonal lines behind the "Fun Flower" die cut. She also used the soon-to-be-retired-never-to-be-available-again Spice Cake Designer Series Paper behind the 3 1/2" Die Cut Circle! Lovely elegant card! Last but not least, Nancy Hall paired the "Medallion" background stamp with "Beyond the Garden" Designer Series Paper to create this "simply wonderful" card! "you are simply wonderful" is a phrase from the "Friendly Phrases" stamp set, and the DSP rosette was scored with the Simply Scoring Tool. I hope to have a tutorial for you soon on how to make these! Hope you are having a great Cyber Monday! Don't forget to check out the Online Extravaganza deals on my Stampin' Up! website. You don't have to order online to get the deals, but you do need to at least contact me to place your order! These deals only last through Wed. November 30th, so don't delay! Since the theme of this month's swap could be anything as long as we used the Simply Scoring Tool, I received these three lovely Valentines. Even though it's not Christmas yet, before we know it the New Year will be here and it will be time to need a card to send to our loved ones! This first one is by Kathy Morgan, and features the "Greeting Card Kids" set and Silver Glimmer Paper! I love how Kathy used the Simply Scored to accent the white space! Rene Watson used the "Stripes" Textured Impressions Folder to co-ordinate with the vertical scored lines on this simple punched Valentine with the "Full Heart" punch in Red Glimmer paper and phrase from the "With All My Heart" stamp set! Great job! Rhonda Bassler used the soon-to-be-going-away-maybe-forever Holiday Mini set, "You Are Loved"! She used the Simply Scored to do the "faux tile" technique on the "happy valentines" section, and then scored vertical lines on the punched Extra Large Oval behind the "love" punched large oval! Three beautiful cards for the last Sunday of November! Don't forget, the Online Extravaganza Sale is still going on through this Wednesday, November 30th! 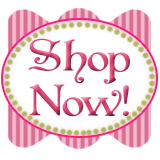 If you place an online order through my Stampin' Up! website, don't forget to check out the Clearance Rack for some cool values there too! Until Monday, have a "Stampingrox"! day! Cards from my monthly swap! Busy day, today is the day we always celebrate Thanksgiving with our children and their families! Hope your day "Stampingrox!" like mine will! Cards from the West Frankfort Class! Our final two projects were the "Jolly Jingles" "Festive & Fun" card & bag I showed you in my November 21st post. Hope you have a great "Stampingrox!" day, whether you spend it out shopping the Black Friday sales or enjoy a relaxing day at home! How to make the Cardstock Gift Bag! Thought I would share with you all today my brief tutorial to make the lunchsack giftbag I showed you a few days ago. This one is in Always Artichoke, but is the same size and uses the same Jolly Jingles Jumbo wheel! Begin by cutting an 8 1/2 x 11" sheet of cardstock in half at 5 1/2". Wheel both pieces of cardstock with the Jolly Jingles Jumbo Wheel. To create bag handle, insert the Extra Large Punch as far as it will go into the 5 1/2" side of the cardstock. Use your "eyeballs" to center the oval, then punch one layer only. WARNING: do not try to punch multiple layers of cardstock with your punches. Punching more than one layer at a time can result in the punch breaking or the cardstock becoming stuck in the punch. Lay the punched cardstock layer over the un-punched layer to use as a guide to punch the second handle.Insert the Extra Large Oval Punch around the first punched oval and gently squeeze the punch to just barely indent the paper. Remove the punched layer, then line up the punch with the indentations and punch the second handle. Cut a regular-sized lunchsack down to 5 1/2". Attach to un-wheeled side of both cardstock pieces with Sticky Strip along the sides as shown above. That's it! Tie a piece of ribbon around the bag handles, insert your card and you are done! I'm truly thankful for so many things today, one of which is the freedom to share my love of stamping with all of you! Hope you have a great "Stampingrox!" Thanksgiving! Festive & Fun-a better view! After looking over my blog post from a couple of days ago, I realized you really couldn't see the card in the envelope on the front of the cardstock giftbag, so here it is! A VERY "Clean and Simple" (otherwise known as "CAS") card! Tomorrow is Thanksgiving and we will be celebrating with my husband's brother's family. I will try to post another project if I can! Have a Happy "Stampingrox!" Thanksgiving! Tags: Christmas Greetings, Festive & Fun, Jolly Bingo Bits, Stampin' Up! As I promised you yesterday, here's a valentine using another stamp from Festive & Fun! As I did with the card yesterday, I stamped the "be my Valentine" image in Staz-on Black so I can use my markers in any color, regardless of how light the ink may be, without worrying that the outline of the image will smear or bleed. That's all for today. Hopefully I will be back tomorrow with another project to show you! Until tomorrow, have a "Stamingrox" day! Festive & Fun from the Holiday Mini! I know I've been absent from here for a LOOOONG time, but I'm back and I hope to share a few of the things I've been up to with you over the next few days! I was able to attend a Stampin' Up! Regional event in Louisville, KY at the end of October. A BUNCH of my downline were able to attend as well: Jan, Rose, Joyce, Angela, Melinda, Linda, Babs, Cassey, Janice, and Sandy! These girls are so much fun, and I am blessed to call them my friends! A dear friend of mine, Megan Wheeler, was a Demonstrator Presenter at this meeting. She gave an outstanding presentation, and I have CASED her demo'ed project here for you: a darling lunch sack giftbag and matching card! We wheeled the Real Red cardstock with the Jolly Jingles Jumbo wheel and Basic Black ink cartridge, wheeling on the diagonal to give it that cool "retro" look! The handle is punched with the Extra Large Oval Punch, and the ribbon is Basic Black Dotted Scalloped Ribbon. On the front we attached a cut-down Clear Translucent Envelope with Sticky Strip to slip the card down into. The card itself is stamped with the "holly jolly" greeting from "Festive & Fun" from the Holiday Mini catalog in Staz-on Black, then colored with Real Red and Garden Green Stampin' Write Markers. I prefer to stamp any image that I am going to color with Markers, Blender Pen, or Aquapainter with the Staz-on ink because Staz-on will not smear or run when moisture come in contact with it. If you have any questions or comments, feel free to leave them for me! Tomorrow, I will show you another card made with the same set, this time for Valentine's Day! Tags: Festive & Fun, Holiday Mini Catalog, Jolly Jingle Jumbo Wheel, Stampin' Up!